We are a socially responsible business that permanently invests in ecological solutions. -We implemented the IWAY management system together with one of our partners, IKEA, since 1998. The system ensures high standards of environmental protection, social responsibility and wood sourcing. Our production is managed in a way that waste is minimal and every possible by product is re-used. For example, we produce briquettes from the sawdust that is created in manufacturing. We introduced this process with a grant from the EU Cohesion Fund in 2008. 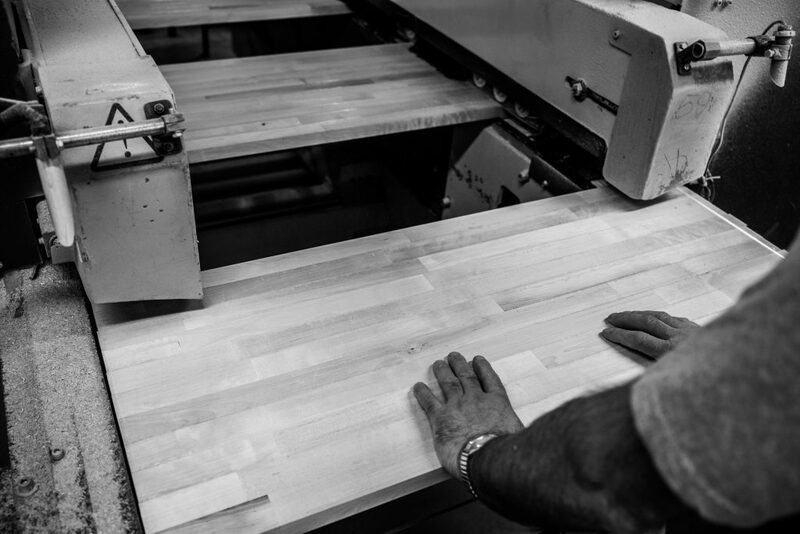 The process of manufacturing creates wood by products such as wood chips and sawdust. Earlier these by products were disposed of to open dumps and the air. In 2008, the factory implemented a project that created a system of recycling wood by products and introduced a new product – bio gradable briquettes. -gathered saw dust is used in the production of bio gradable briquettes. 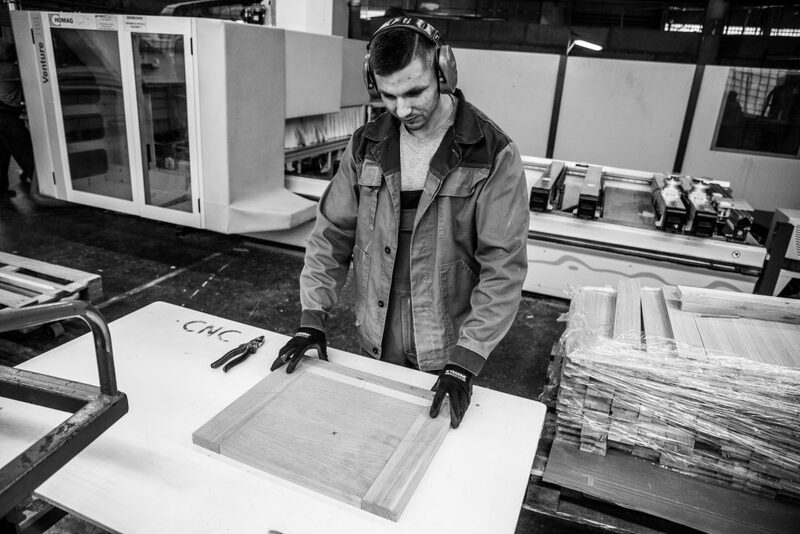 Wood shavings are also reused for the heating of the production premises and powering our wood drying facilities. Bio gradable sawdust briquettes are more ecological material then coal, as it does not release SO2 compared to coal. 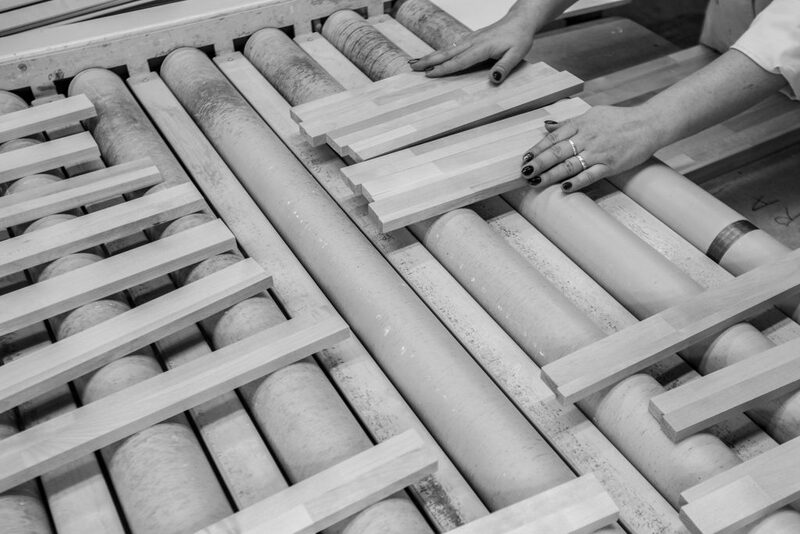 Another by product of our production comes from the solvents that are used in the finishing of the furniture. We use acid and nitrogen based lacquers that release some chemical by products. The factory acquired an UV finishing line that uses water-based lacquers that are much more eco-friendly. 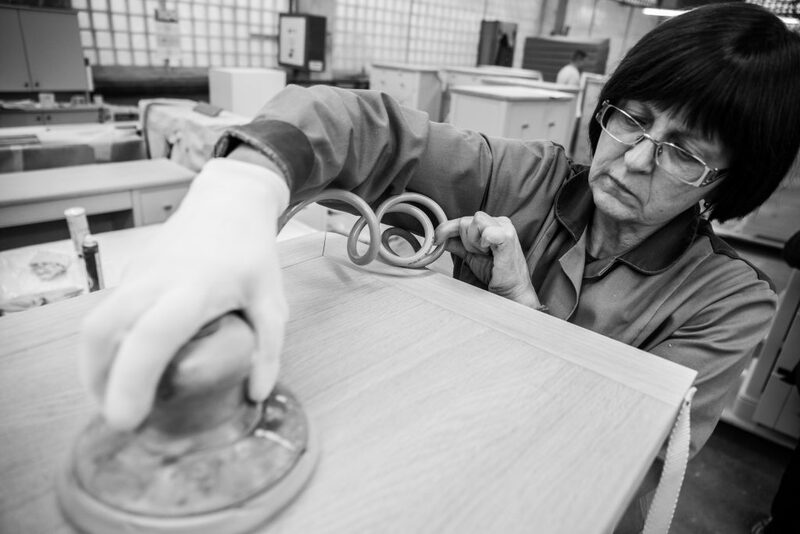 Over 50% of all our products now are finished with water-based lacquers. – We strictly follow the TIPK principles in our production. – We recycle paper and plastic that is sold to the recycling businesses from the area. – We save electricity. Our electricity consumption was reduced by 27% without reducing production volumes, by building a modern wood drying kilns that have the capacity of 1000 m3 of wood. – Ecological finishing is a requirement of our discerning quality Western buyers. We use glue which contains low amount or no formaldehyde.